Back Pain. When Does It Mean More Than A Back Problem? Back pain is a very widespread problem: according to the research carried out by the National Institute of Arthritis and Musculoskeletal and Skin Diseases (NIAMS) in 2010, about 80% of Americans experience a back pain at least once in their lifetime, while on a larger scale, up to half the world’s population suffers from different kinds of a backache. It varies from a dull and consistent (or chronic) to sharp and intense pain, that eventually takes away the capacity for free movement. Once, you take your favorite pair of good crossfit shoes, go to the gym and suddenly pierces you. There are lots of reasons, causing it: back pain can appear suddenly as a result of injury, a fall, an effort to lift a heavy weight – or progressively increasing and getting worse because of natural age-related spinal changes. Whatever the reason, we often take the problem carelessly hoping that it’ll get better on its own, which is the worst strategy ever. Remember that pain isn’t our enemy, on the contrary, it’s a friendly signal that keeps us out of trouble, saying that something’s wrong, so never ignore it. In more than 80% of cases, the back hurts because of muscular overload, long periods of being in the same position (when sleeping, using a computer), hypothermia, or old injuries. But about 20% of people have back problems as a consequence of other serious health problems and diseases, beginning from infections and bladder disorder, ending with cancer. Thus, severe pain in the middle back or in one of the sides can be caused by kidney stones, which, as a rule, require a professional treatment: some of them are usually broken with ultrasound or the lithotripter, and the bigger ones can be removed surgically only. The stones must be sent to the lab in order to find out the cause of its formation. Lower back pain is also often caused by kidney infections that need to be urgently treated with antibiotics and painkillers. If unpleasant feelings in the abdomen are turning into a pain in the back, this may be pancreatitis (inflammation of the pancreas). In the case of a sharp pain – again, an immediate surgery is required. Back pain can be a symptom of pancreatic cancer, usually along with other symptoms like a rapid weight loss. If your back pain is moving to the ribs and shoulders, it may be caused by infection or inflammation of the bladder or gallbladder. The consistent ache in the pelvic and back in combination with frequent urination is often a signal of cystitis (more common for women). Patients may need painkillers, antidepressants, and even surgery. What Is The Referred (Reflective) Pain? According to Dictionary of Medical Terms (4th edition) by A & C Black, referred pain (same as synalgia) is a pain which is felt in one part of the body but is caused by a condition in another part. So that when the back pain means more than a back problem, it’s a reflective or referred pain. 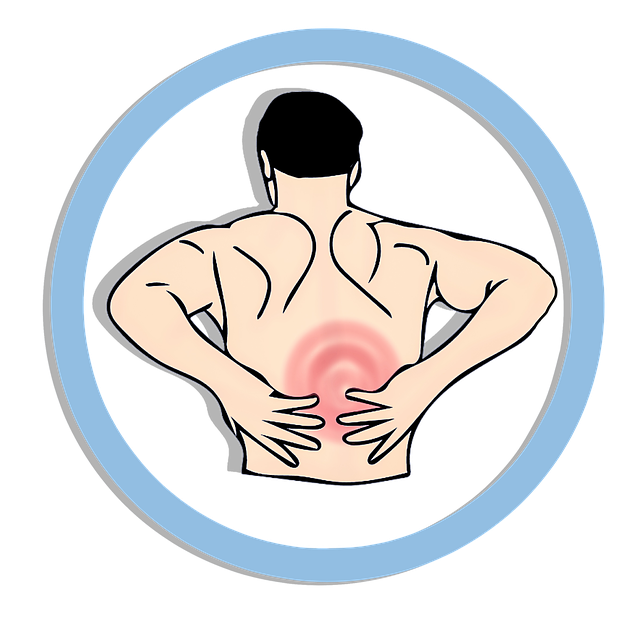 Unfortunately, most often, people ignore a backache until it begins to bother to live their usual lives. And that’s the real problem, as the more severe pain you have, the more serious stage of the disease is (and, of course, it’s more difficult to treat it). Appendicitis – You can feel the ache either only in the right side or somewhere further back, so that it’s hard to determine where is the exact location of the pain. Problems with the intestine – Intestinal cancer, intestinal obstruction, irritable bowel syndrome, peptic ulcer etc. Cholecystitis – An inflammation of the gallbladder, a small organ that plays a part in digesting food. Pancreatitis – In this case, you’ll fill the ache all over your lower back. Adhesions – They usually appear after a surgery, and may cause pain in different areas, including the back (when the adhesions are forming near the abdominal organs). Kidneys problems – Back pain is a very common symptom of various kidney diseases. In this case, the pain is localized mainly in the side with the ill kidney. If the disease is systemic, the pain is vague and rather strong. Infections – Some infections (like the urogenital system infection or intestinal infection) cause the back pain which is both a symptom and a consequence. So, with an intestinal infection, the lower back often hurts, and the pain is quite strong and constant so that it spreads all over the waist area. Tumors – In cases of both benign and malignant tumors, back pains may arise, indicating the possible growth of the formations. Gynecology-related – Inflammation of appendages or a common cold, which can be accompanied by severe pain in the lower abdomen, reflecting on the lower back. Pregnancy – The pressure on the spine becomes much stronger and therefore women often complain about the pain in the lower back, which obviously causes great discomfort. Unlike the previous one, this reason is almost harmless. Nevertheless, back pain during pregnancy can indicate a premature birth, but in this case, there will also be other, more specific symptoms. Climax – Because of the imminent serious changes in the woman's body, back pain can arise as one of the symptoms of menopause. External factors impact – Rather often women’s back pain can be just a sign of stress, depression, lots of pressure, fatigue. PMS – Virtually all women complain about lower back pain a few days before and during the first days of menstruation. The heavy physical workload on the male body, overloading, stretching of the muscles. Prostatitis – swelling and inflammation of the prostate gland. Epididymitis – an inflammation of the epididymis, a tube near the testicles that stores and carries sperm. Mostly, men tend to endure pain and go to the doctor only if it becomes impossible to stand it. In this case, you should realize that the longer you bite the bullet, the more difficult and longer it is to treat your illness. There exist lots of different back pain classifications, but the most substantial one distinguishes two main forms of it: constant and acute back pain. The first kind usually says about gradual, sustained changes in the body (like dystrophy), signals about spinal injuries, or may warn of possible cancer, osteomyelitis, and other serious diseases. The second one deals with regular temporary “shots” of ache, which can be the symptom of strained muscles, spinal disc herniation, nephritis, PMS, and hundreds of other “non-relevant” illnesses. Cancer (a tumor near the spine) - the pain doesn’t depend on the position or activity, getting worse at night and when pulling weights. Spinal infections - tuberculosis, osteomyelitis, syphilis and other diseases. Myalgia (a chronic inflammation of muscle tissue). Ankylosing spondylitis - long term back pain accompanied by prolonged morning stiffness (more common for men). Acute pain in the lower back says about such “irrelevant” health problems: kidney stones, intestinal issues, urinary tract, cyst breakout (for women), pyelonephritis, pancreatitis aggravation, gallstones, myocardial infarction, esophagus break, aortic aneurysm. Pain is a warning signal of possible osteomyelitis, benign tumors and blade sarcomas, myocardial infarction. This one also is an indicator of myocardial infarction, ruptured peptic ulcer. Acute pain in this area may be caused by pneumothorax, pleurisy, lung cancer and many other serious diseases, which require urgent treatment. In order to avoid back pain or at least ease it, following a healthy lifestyle is the first thing to do. It includes a complex of daily actions and habits aimed at improving your physical condition, but the essential issues are a balanced diet and doing exercises regularly. Thus, if you exercise 20 minutes a day (at home, on the street, at the gym, whatever), you will strengthen your back muscles well. If you don’t eat too many high-fat products, you can avoid G.I. problems, which often cause different illnesses, including back pain. In addition, never forget to visit a doctor at least once a year, even if you feel perfect and it seems like nonsense. Constant back pain is a good reason to visit a doctor because you can’t determine exactly if it’s just a back problem or a symptom of some other, more serious and dangerous disease. Without timely investigation and treatment, it may lead to serious consequences. Better safe than sorry, right?